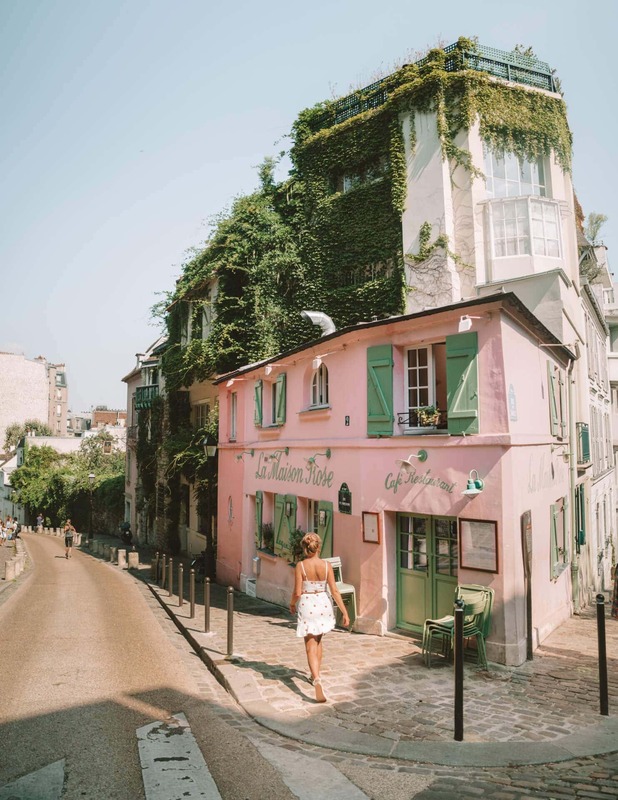 While you are on a Paris city trip, you definitely should visit Montmartre. A bit off the beaten path destination, nevertheless a very popular area to visit in Paris, France. Montmartre is most visited because of the Sacre-Coeur Basilica. 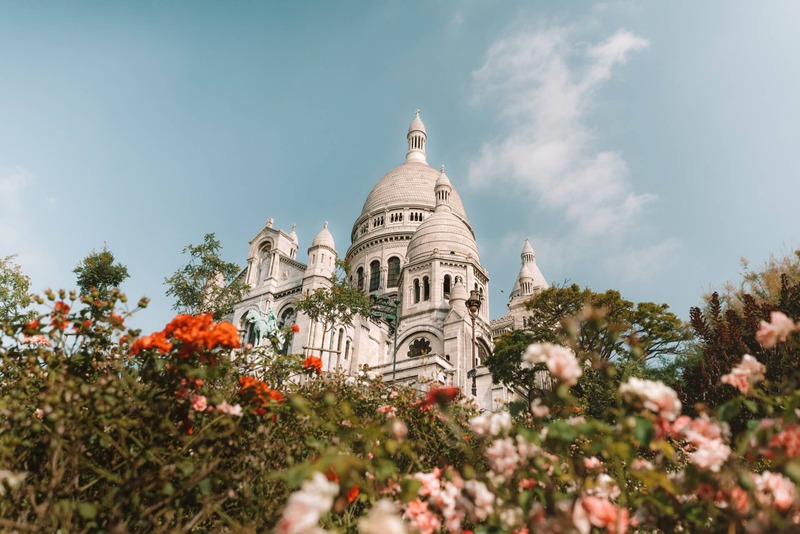 Apart from the Sacre-Coeur, there is so much more to see in and around Montmartre. Montmartre is a great place to walk around and best reachable via the subway. To reach the top, it’s a relatively easy walk by stairs, but you can also use the Montmartrobus. Located on a hilltop is the beautiful Basilica Sacre-Coeur where you have a panoramic view over the whole city. Get at the basilica as early as possible to have a tourist-free experience. The entrance to the Sacre-Coeur is free, and it’s open from 6 AM to 10.30 PM. While wandering around in Montmartre, you will notice all the art influences. 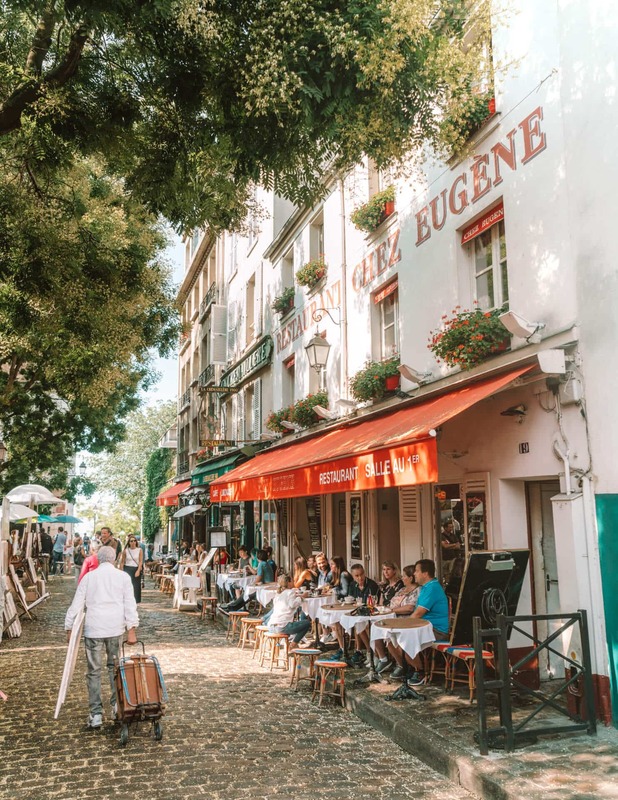 Artists like Vincent Van Gogh and Picasso were attracted to the area and, so art is still in the heart of Montmartre. There are also many shops, beautiful buildings, and cafes in town where you can easily spend the whole morning. 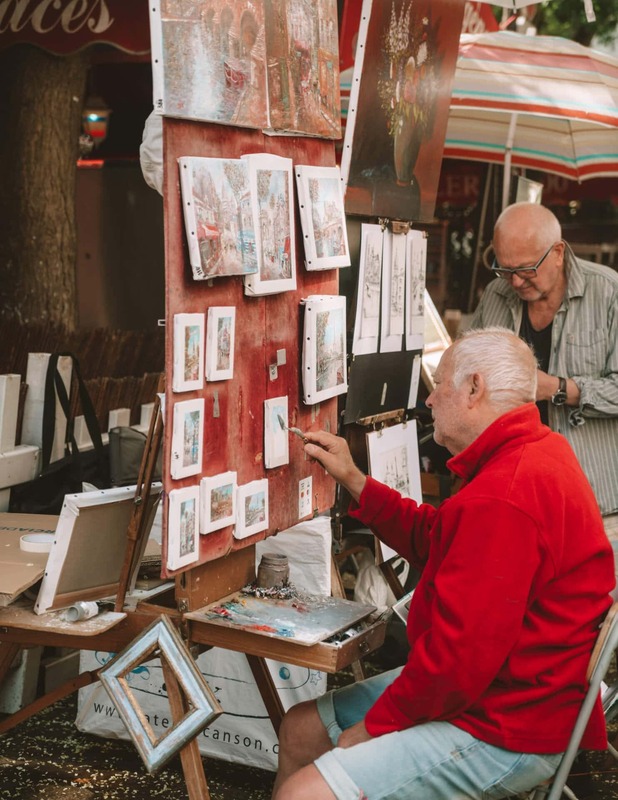 Every morning at Place du Tertre, artist gather to draw illustrations or portraits. It is a little square in the heart of Montmartre. We’ve been told that the oldest vineyard of Paris is located in Montmartre as well. 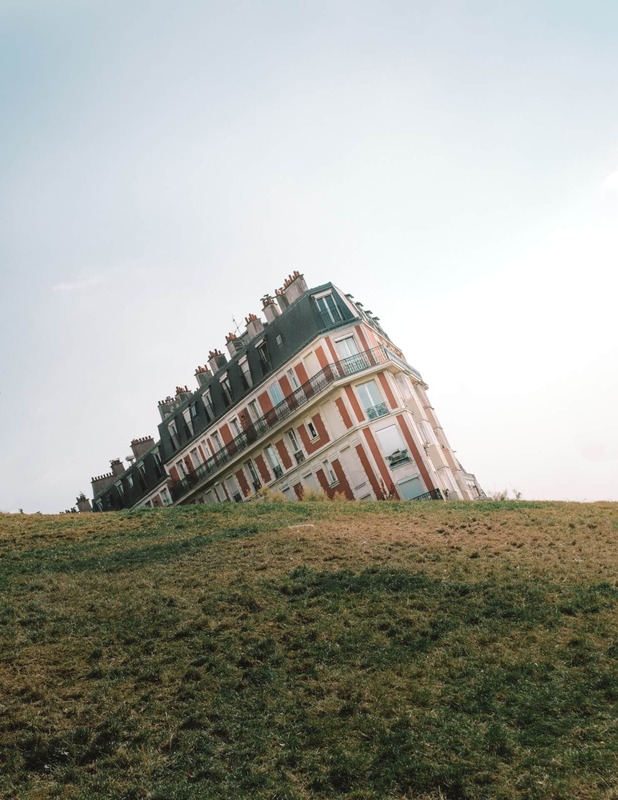 Located on top, next to the Sacre-Coeur is a house that seems to be sinking into the ground. This is a visual trick but still fun to try and photograph! 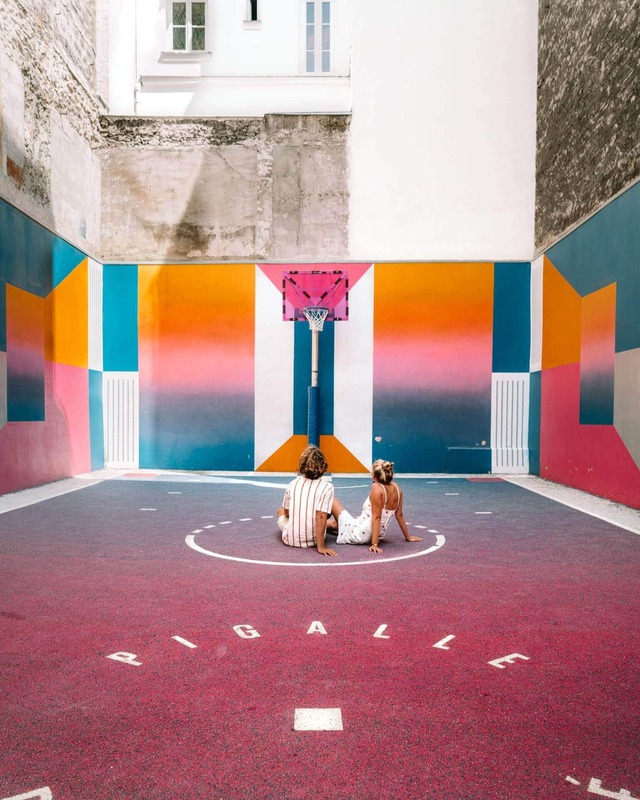 Our personal favorite and surprise during this Paris City Trip was Pigalle Basketball court. Together with Nike, the fashion brand Pigalle designed this a-ma-zing looking basketball court. We have to say that it is only allowed to take pictures here if you have permission from a local. Please always respect this. Near the fields is one of the most famous cabaret shows in the world; The Moulin Rouge. If you have time available, plan to visit one of these shows. 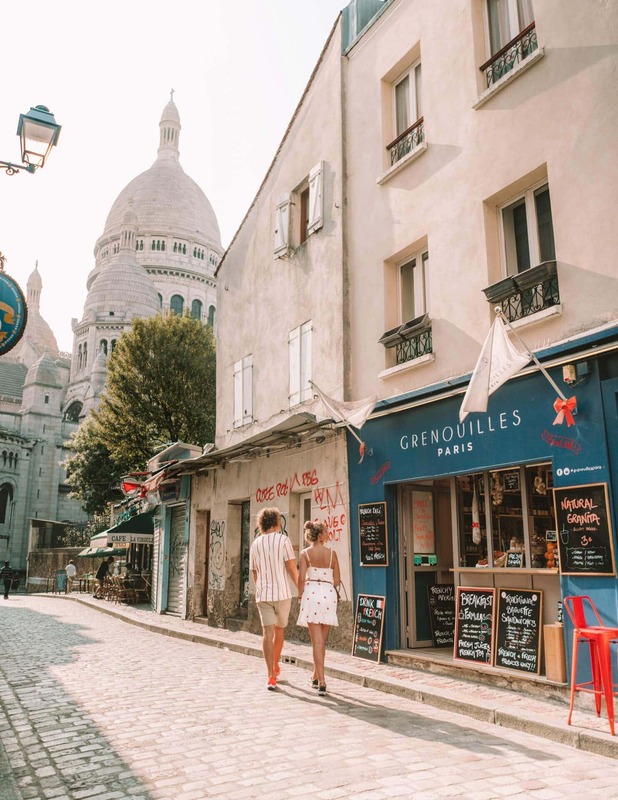 If you are here for a 3-day city trip, you can take one day of that to see Montmartre. 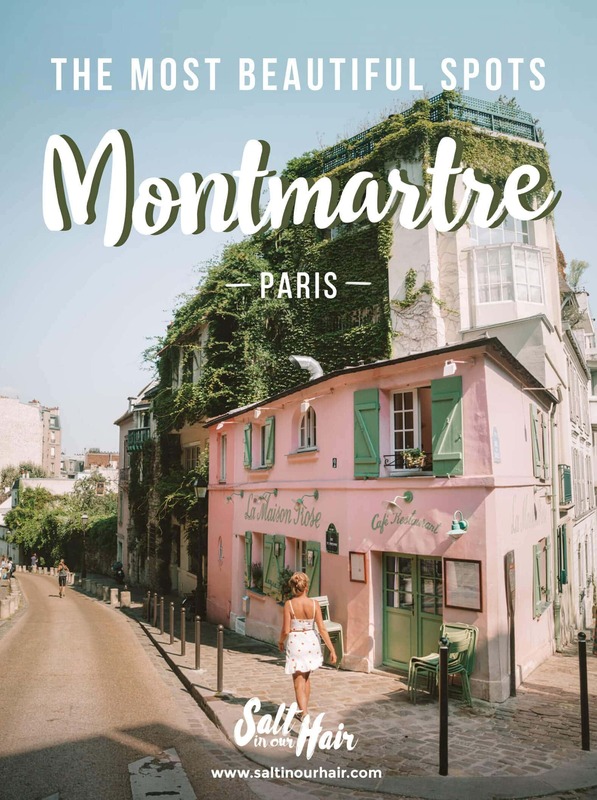 Paris has loads of great attractions, but Montmartre is a must-see. Use our Paris City Trip Guide to see most highlights of the city in just three days. 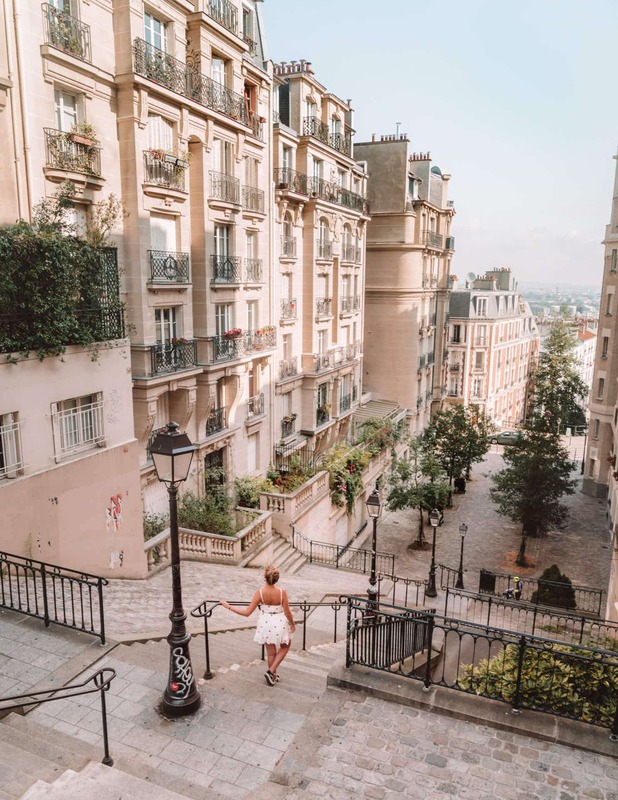 Montmartre is getting more and more popular and so are the hotels. Expect to pay €110 a night. Airbnb’s are usually a more affordable option. Use this code to get a $30 discount off of your first booking. Almost next to the Sacre-Coeur is this hotel with a pool!